And amidst the madness, the quest for the perfect makeup and hair weapons is heating up as excited Social Gals and Gents prepare to make their most vroomy entrances to date. Having trouble killing the smoky eye with a pop of metallic and colour? Not anymore! 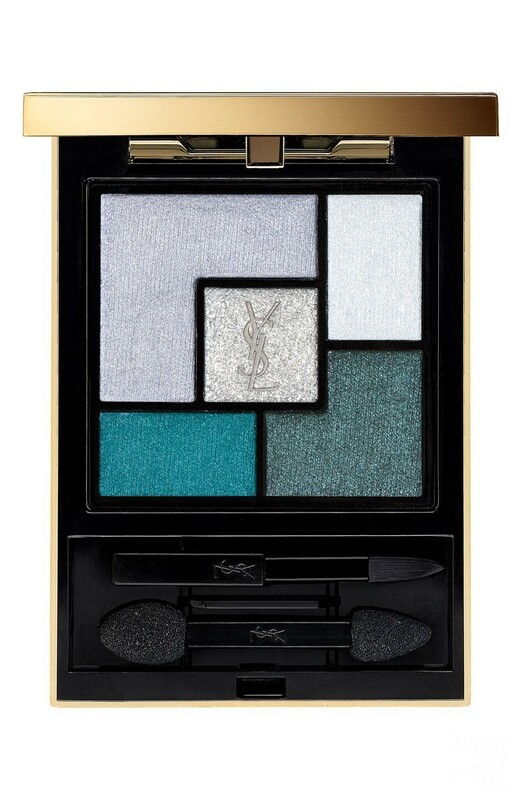 Thanks to this super luxe new limited edition palette (that looks as good as it works), your dramatic eye creating issues are more over than big eighties hair. Simply use the easy to to manipulate larger puff of the dual-ended wand to apply a more generous swath of the lighter hue suited to your eye colour (in my case, a metallic sky blue in the 5-coloured Urban Escape palette) and then follow with the darker option (in my case an almost black) applied to the crease of the lid with the pointier side of the swab. Blend to achieve desired level of smoky. For more allure, dab a pop of the in-your-face shade (what they call a deep “verte-de-gris” in my case) over the crease. Finish the impact-making with a dusting of the light metallic option over the centre of the lid and top with the lightest hue just under the centre of the brow. Et voila, you’re ready to be unforgettable. Palette is available at your fave purveyors of luxury beauty like Sephora and Nordstrom, both online and in bricks and mortar.